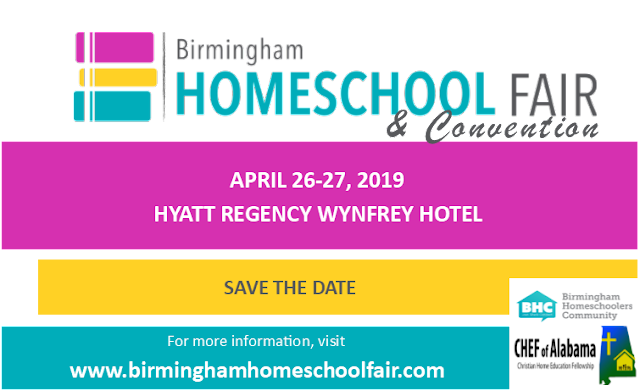 Save the Date for the Birmingham Homeschool Fair and Convention, co-sponsored by Birmingham Homeschoolers Community and CHEF of Alabama. We are working on other exciting speaker tracks, including one for dads led by Brian Pruitt (The Power of Dad). The exhibit hall will feature national as well as local resources for homeschooled families. THANKS! Hope to see you there!